Kaleb Cowart is an American professional Baseball player who plays in the Major League Baseball (MLB). As of 2019, Kaleb Cowart currently plays for the Los Angeles Angels as their Third baseman/ Pitcher. In the first round, with the 18th overall selection, Anaheim's Los Angeles Angels selected Cowart in the 2010 Major League Baseball draft. As a Third baseman/ Pitcher, Kaleb Cowart reportedly earns around $500,000-$600,000 as his yearly salary from Los Angeles Angels. Further, Kaleb Cowart has an estimated net worth of over $1 million. Kaleb is in a romantic relationship with his wife, Madison Bitzer. Kaleb Cowart has an estimated net worth of over $1 million in 2019. He reportedly signed a contract with Los Angeles Angels on February 23, 2019. Further, the MLB player has an average salary in the range of $500,000-$600,000 annually while Mike Trout is among the highest earners with an annual average salary of $16,000,000. Kaleb Cowart so far has made earnings of $3,016,791 from his entire MLB career while David Price is one of the highest earners of MLB with overall career earnings of $184,042,498. Additionally, as per his previous contract in 2018, he earned $545,000 as base salary. Moreover, he is the player who gets paid as a pre-arbitration player which is quite similar to Zach Eflin. Specifically, players under pre-arbitration contract earn somewhere around basic salary of MLB. Further, there aren't any reports regarding his endorsement deals. However, the player with such fame is obvious to have an endorsement deals through with he earns a handsome amount of money. According to reports, Kaleb is married to his beautiful wife, Madison Bitzer. Further, they were suspected to be in a relationship since their high school days. Also, Kaleb officially announced his relationship on 11 October 2012 and they got engaged in 2017. Kaleb is quite a private person about his personal life. Also, he didn't leak about his marriage photographs and any other evidence about his wedding. Further, they tied their knot on 6 January 2018. There aren't any details about their honeymoon destination. 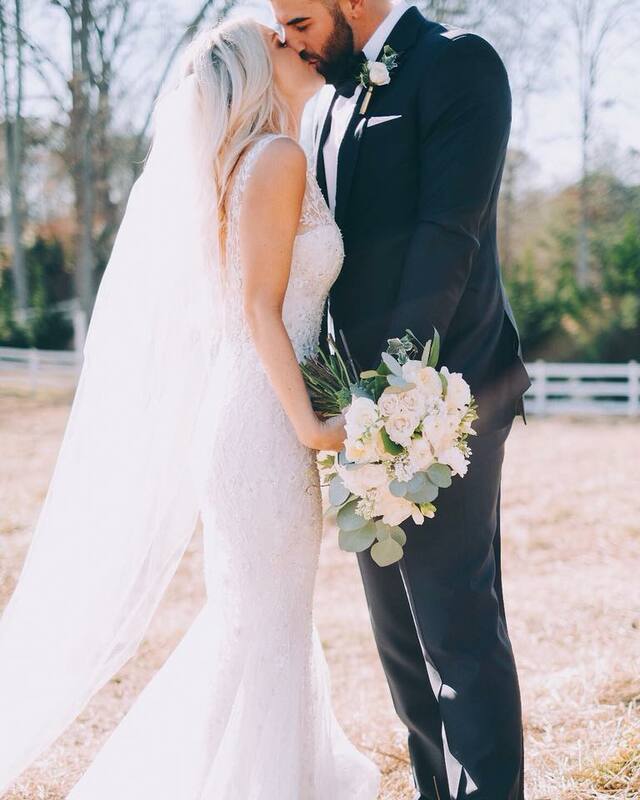 Madison Bitzer, the spouse of Kaleb Cowart, is also a graduate of Georgia college in Middle Grades Education. Additionally, Madison Bitzer is a teacher at Crabapple Crossing Elementary School in Alpharetta, GA.
She seems to be the most loved teacher of the school as they keep giving her some lovely and sweet notes. She is an animal lover. Talking about Kaleb's body measurement, the famous MLB star is 1.90 m or 6 feet 2 inches (approx) in height and weighs around 102 kg or 224.872 lbs. Kaleb Cowart was born on June 2, 1992, in Adel, Georgia to parents whose name aren't in the media yet. As per his nationality, he is American and belongs to the mixed ethnic group. Further, his star sign is Gemini. Cowart played third base and also pitched. As a pitcher he went 10–1 in 73 innings, recording 116 strikeouts and one save with a 1.05 earned run average. He hit .654 as a batter with 11 home runs, 59 batted runs in (RBIs) and 55 runs scored. He also recorded a 1.206 percentage of slugging, a.721 percentage of on-base, and was 36/36 in stolen bases. In the first round, with the 18th overall selection, Anaheim's Los Angeles Angels selected Cowart in the 2010 Major League Baseball draft. Although he committed to playing baseball at the University of Florida, Cowart signed with the Angels.